Toronto outpaced Montreal a number of years ago in population and is now the largest city in Canada. Cuisine is characterized by a melting pot of international influences. Ethnic neighborhoods cling closely to tradition, adding solidarity to authentic native foods. American features are present in Toronto food, as well as a host of fusion-inspired trends, born of culinary innovation. Chinese, Vietnamese and Korean pockets of influence offer authentic traditional dishes prepared by Asian transplants who take their gastronomic histories seriously. Little Italy is home to a variety of Italian regional offerings, in both authentic and americanized versions. Indian food history is represented by extensive buffets and ala Carte preparations. Portuguese, Hungarian and Japanese components find their way into progressive multicultural fusion dishes, but they are also present in their purest forms, unadulterated by inventive chefs. Toronto’s large Jewish population assures a robust kosher food segment, in grocery stores and restaurants. For culinary students it adds up to an exciting and concentrated exposure to world cuisine that affords far-flung gastronomic sampling, within a small geographical region. On a student budget, the ability to taste multinational cuisine in your school’s hometown, is money (and knowledge) in the bank. Thorncliffe Park- International in residential scope, the most-represented ethnic backgrounds (and cuisine) are largely Asian and African. Eglinton West, or Little Jamaica places Caribbean fare on the front burner with authentic spicy dishes. The Danforth, or Greektown is home to the annual Taste of the Danforth festival and boasts huge numbers of authentic Greek and Mediterranean restaurants. Toronto’s uncompromising upscale fine-dining scene is also worth a plunge. Some of these restaurants might provide apprentice and internship opportunities for you career progression. It is understood that student budgets often don’t allow for buying extravagant meals – there are plenty of students chefs well versed in Raman noodle innovation. Think outside the box for off-campus learning opportunities. Canadian culinary schools recommend apprenticeships, and in some cases oversee their administration. Chef apprenticeships provide an alternate avenue for earning your degree and getting a good chef job. Before you are registered as a professional chef apprentice, you must earn the industry Red Seal Certificate for Cook, which requires a minimum of 1 year of culinary experience. The mentor chef/instructor responsible for your apprenticeship must also be properly credentialed, with the Certified Chef de Cuisine seal of approval, from the Ontario Cook Industry Committee. Toronto is a giant metropolis, over two million strong in population. 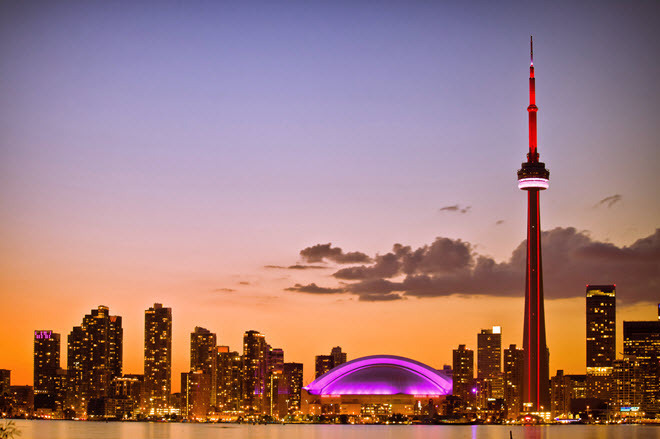 As is the case in other super-cities, the hospitality and tourism industry is thriving in Toronto. What does this mean for you as a Toronto Culinary Arts student? You, and other well-educated, highly skilled chefs are in high demand. Your employment outlook is good during school, as you hone your craft; and upon graduation, when mobility within the kitchen becomes your focus. Vetting potential cooking schools requires focus, and a clear understanding of where your culinary dreams are aimed. Consider how well prepared your chosen school is to place you on the educational path most suited for achieving your career goals. Liaison Culinary College -- Liaison Culinary College offers career assistance for graduates and boasts a 90% placement rate. The downtown Toronto campus is one of two LCC locations. Choose from the following Culinary Arts diploma programs: Cook Basic, Cook Advanced, Personal Chef. The diploma for personal chefs is unique among culinary educators. If this is where you want to make you mark in the industry, consider this focused program as one of the best preparatory steps. Students at LCC learn in a state of the art campus kitchen. Menu planning, managing kitchen staff, cost and inventory control, and guest satisfaction are key curricular areas. The very popular Chef of the Day program places a student chef the lead kitchen role, where he or she plans, directs and delivers a three-course meal to the public.